Atari has accused Nestle of copyright infringement after a British Kit-Kat ad bore a suspicious resemblance to an old-yet-familiar game. Anyone remember Breakout? Even if you don’t remember the name, you’d likely recognize the game if you saw it. You control a paddle at the bottom of the screen, and you bounce a ball up into a series of bricks across the top of the screen. 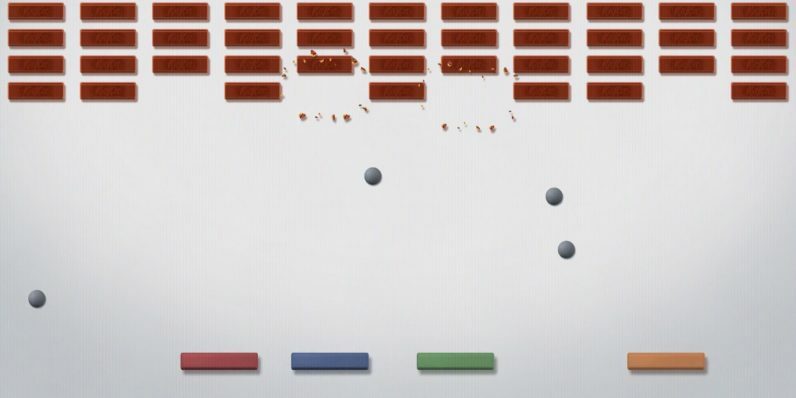 Atari contends the Kit-Kat ad in question — in which actors play a version of the classic game where the bricks are replaced with Kit-Kat pieces — is banking on the company-owned title to sell candy. And … yeah, I can kinda see their point. Notice that’s not actually a defense — just because the advert ran last year doesn’t mean it’s not blatant copyright infringement.